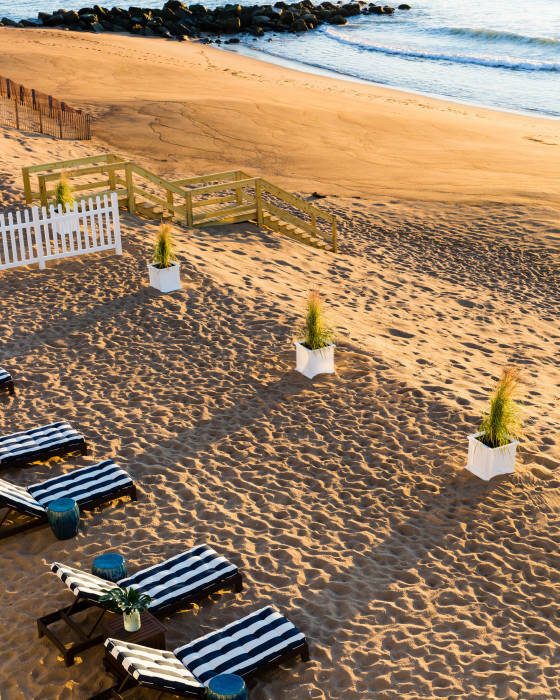 About as oceanfront as you can get, this unique, boutique Newburyport MA hotel is set right on Plum Island beach. 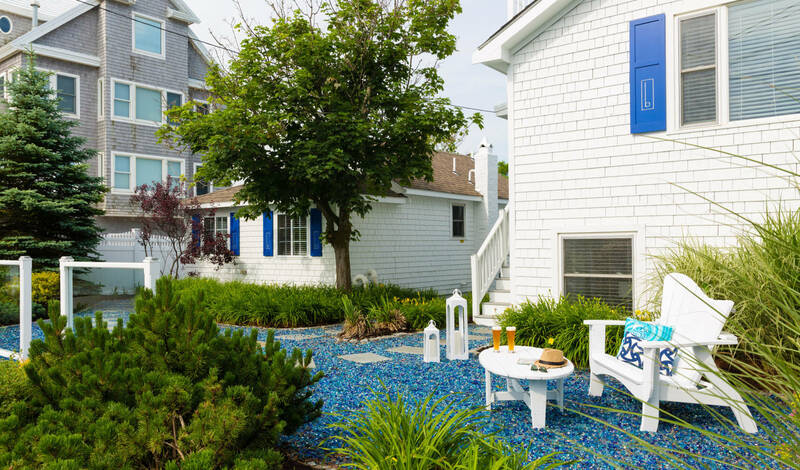 A stone’s throw from charming downtown Newburyport, Blue offers a luxury vacation cottage experience with modern amenities right at the start of the sea. Discover rooms, suites and private cottages dressed in crisp summer whites with pops of our signature color. Spacious and restful, these Newburyport MA hotel accommodations feature plush beds and comfortable furnishings that beckon you to kick back and forget your responsibilities for awhile. Breakfast baskets, a hot tub and beach loungers will leave you feeling anything but blue.